Object -Located in the constellation of fornax at a distance of 60 million light years. The interacting pair of galaxies has begun a dance which will cuminate the formation of just one galaxy. 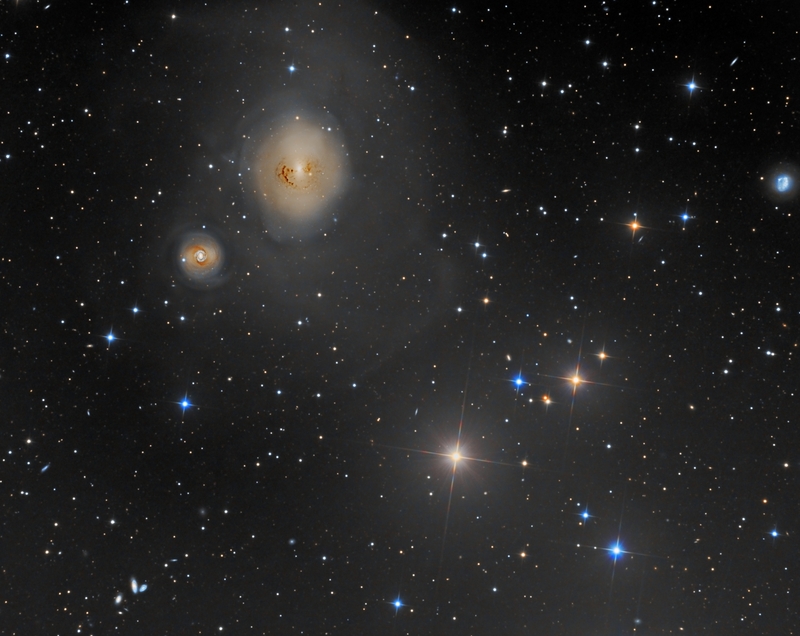 NGC1316 is known as Fornax A. It has this designation because it is the brightest radio source in Fornax. Many other distant galaxies can be seen in the field, some appear just as specks of light.